One of the many amazing things about living in the Scottish Highlands is how close you are to the everyday history of the area. Never is this more apparent than when you are out enjoying the Dava Way. 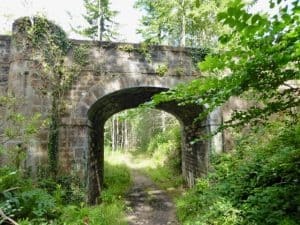 For those of you that are not familiar with The Dava Way – it is a 24-mile (38km) Railway walk that links Granton-on-Spey to Forres in Moray. It is one of Scotland’s Great Trails and is there to be enjoyed by walkers, cyclist and horse-riders. I tend to enjoy the more Northerly end of the route just a short walk from the back door and constantly marvel at the bridges crossing over the old Railway – particularly Squirrelneuk and the longer more romantic Scurrypool Bridge built in a turreted Scottish Baronial style on the Altyre section and wonder what these bridges have seen in the past. Who built them, where did they come from, what was the weather like, how many families have crossed them, were they excited to be on the train, why were they coming to Scotland? The line itself was opened in1863 and closed in 1965 as a result of the Beeching cuts. Much of the traffic on the line was dedicated to moving the produce of the Moray Firth and its shores – sheep, cattle and fish to the south. Indeed information tells us that four years after opening 21,000 sheep were transported in one week. The track continues alongside the Altyre Burn which has a hand built stone wall alongside it and is so pretty, the bank really high above it and the colour when the leaves are out is spectacular it must have been a wonderful train ride. Further down from these bridges towards Clashdhu look up to your right and you will see the Signalman’s hut high up above the line. 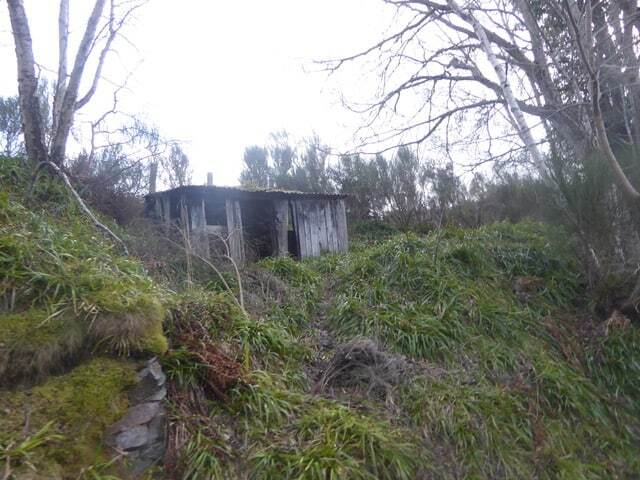 I imagine someone sitting in there cold and damp – we are too used to modern fabrics, torches and telephones today. I hope he had a small fire to keep warm with. The entire track along here is cut down through rock and is what you would expect of an old railway cutting. The information board at Clashdhu tells that the only medicine available to the workforce was castor oil, which they mostly used in their boots to stop their feet from rubbing, and I can only imagine the hardship. And the most common medical condition was varicose veins from the constant physical work they were doing – this was tough work for tough people in tough times. From here you can travel all the way to Granton-on-Spey without crossing a road. The track is ideal for walkers, cyclists or like me horse riders. Take the time to enjoy the history and the scenery on the trail – enjoy the Divie Viaduct and the high parts of the Dava Moor. It is easy to travel the track in stages or in one go but do enjoy this historic Railway route. Moray is a wonderful place for getting outside and the Dava Way makes up part of The Moray Way by using the whole of the Dava Way, two thirds of the Moray Coastal trail and about half of the Speyside Way.